DISCOUNT CODE: If you’ve never ordered from The Outnet before, enter the code WELCOME15 for even further reductions! In April 2016, Kensington Palace announced that the National Portrait Gallery and British Vogue magazine had collaborated on a series of photographic portraits starring Kate. 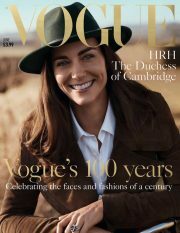 The photographs are featured in Vogue’s June issue, celebrating the magazine’s 100th birthday. (Learn more by clicking here). 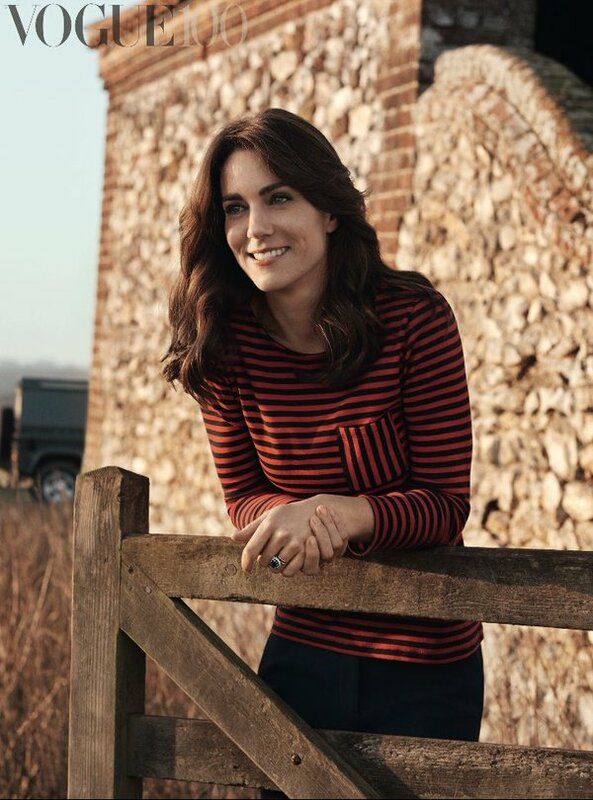 In one of the photographs, Kate wore a red and blue striped Breton top from French company Petit Bateau. The t-shirt features an admiral neckline, long sleeves and graphic horizontal Breton stripes. 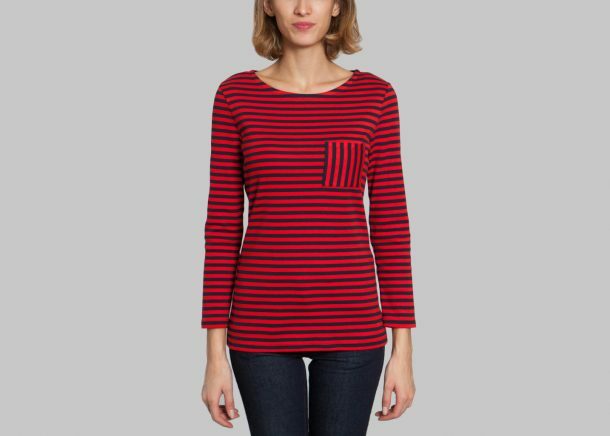 There’s a small pocket on one side in contrasting vertical stripes. 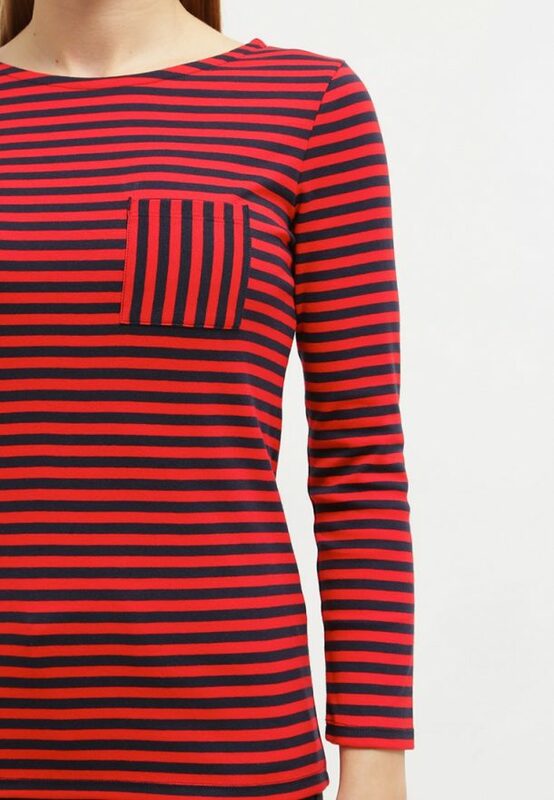 On some websites, the top is sold as the Petit Bateau Burkina t-shirt. The tee is made from 100% cotton. It retailed for £35 / $75. 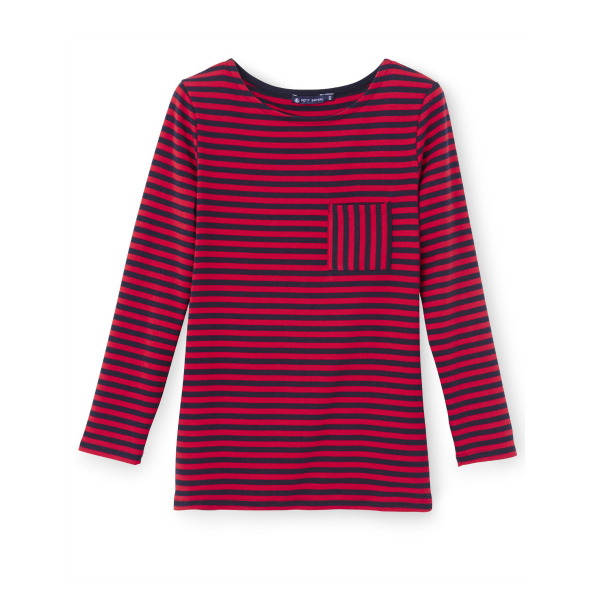 At the time of writing, the Petit Bateau top is available for purchase at The Outnet for £24 / $48.95. This French company has 120 years of experience making high-quality clothing. Their focus is on great fit, comfort and ease. They’re known for making casual “off duty” pieces and renowned for their Breton-style ‘Mariniere’ tops. Founded in the ’30s by Pierre Valton, the label creates supersoft cotton breton tops, shorts, camis and dresses which sit alongside its ever-popular rain macs. This is the first time photographers have captured Kate wearing Petit Bateau. The Duchess may wear their clothing in her personal time, but she has not worn any on public engagements in the past. She has not been photographed wearing Petit Bateau in candid pictures either. Please note: The information on this page (including offers, discount codes, delivery options, prices, etc) is correct (to the best of my abilities) at the time of hitting publish. It’s subject to change at any time. Some additional images on this page via Lexception.com & Dresslove.de.